Jose Mourinho has come to a conclusion on the Paul Pogba saga, deciding against putting him up for sale in the summer. The Frenchman has been under the spotlight over the past couple of months, having put in a series of dreadful performances for United, which have seen him lose his starting spot to academy graduate Scott McTominay. The decision to drop him had been met with uproar in the media, and a number of newspapers began circulating rumors that he had fallen out with Mourinho. Some claimed he was angling for a move away from the club for the second time in his career, linking him with summer transfers to Real Madrid and Paris Saint-Germain. However, according to an exclusive report by Yahoo! Sport, Mourinho is still a firm admirer of Pogba, and believes he has what it takes to be one of the world’s best players. All he needs is a little disciplining to help him readjust his focus to football and not the bling and the fancy hairstyles. 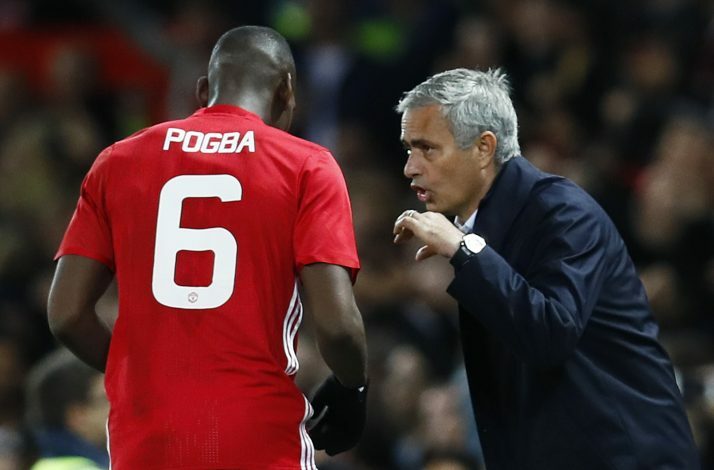 Mourinho has spoken to Didier Deschamps about the situation, and the France boss echoed his sentiments by dropping Pogba for the country’s first friendly against Colombia, which they ended up losing 3-2. The 25-year-old was allowed to start against Russia though, and appeared a man on a mission, as he dropped a brilliant performance, capped by an assist and a goal from a beautiful free-kick. Yahoo! also claim that Mourinho and Deschamps are both in agreement over the ‘need to press Pogba’ to get his mind back on perfecting his game. They hope he will stop complaining about the tactics he has been asked to adjust to, and instead aim to prove why United paid a then-world record fee to sign him.